It was 1980 and New York City was experiencing its highest crime rate and worst recession since the 1930s. In spite of the doom and gloom that had set in, some were optimistic about the city’s future. One was a young architect who recently arrived to New York from San Francisco. That year, he entered a competition for young architects by proposing a fantastic village of houses atop an abandoned elevated rail line. The competition was the inaugural Young Architects Forum, and the visionary dreamer who saw potential in the rusted viaduct for a thriving community was architect Steven Holl. 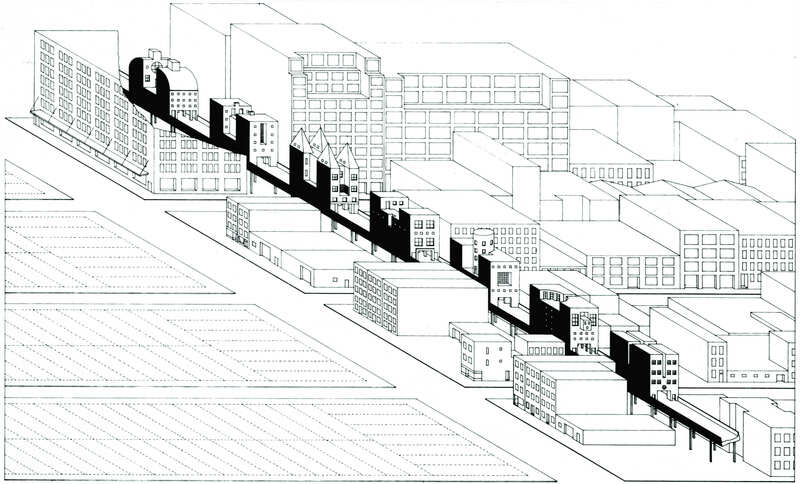 Holl’s now legendary Bridge of Houses, the first suggested revitalization of what is now the High Line, was one of 12 winners that year. It was profoundly poetic, hugely influential, and it made the case for both an ideas-based architecture and for having a prize for young architects. The Architectural League of New York couldn’t have wished for a better start for its new program. Now in its 35th year, the Architectural League Prize (formerly the Young Architects Forum) is a prize with gravitas for young architects that rewards winners with a plum lecture opportunity and a part in an exhibition in New York. It is highly sought after by promising young guns and for good reason. Of the prize’s 200-plus winners, only a small percentage have drifted into obscurity. Most are heading up significant practices and running design schools. Some, like Holl, Billie Tsien, Rick Joy, and Neil Denari are truly famous, bringing to fruition buildings of extraordinary quality that are making their marks on history and influencing generations of architects to come. The prize is not a perfect predictor of future prominence, as it casts its net widely and is open to all architects in North America out of undergraduate or graduate school fewer than 10 years. However, it’s been a pretty good indicator of the people and the ideas likely to matter next. When it began in 1981, the League Prize was an oasis in a desert of opportunity for young architects. “There was really nothing like it,” said Anne Rieselbach, who as program director for the Architectural League of New York, has shepherded the League Prize program for the past 29 years. There was the P/A Awards sponsored by Progressive Architecture magazine, but that was a different opportunity. And some, like architect Claire Weisz, who won the prize in 1991, considered the P/A Awards to be “out of reach and unattainable.” Weisz credits the League Prize as being hugely influential and an important forum where architects just starting out could get validation amongst their peers. Her winning project, “Beg Borrow and Steal,” which was conceived from borrowed and bartered materials sourced from a closing fashion store and cleverly exhibited on clothes hangers, was her first public collaboration with Mark Yoes, now her partner in WXY. Architect James Sanders got the program up and running. 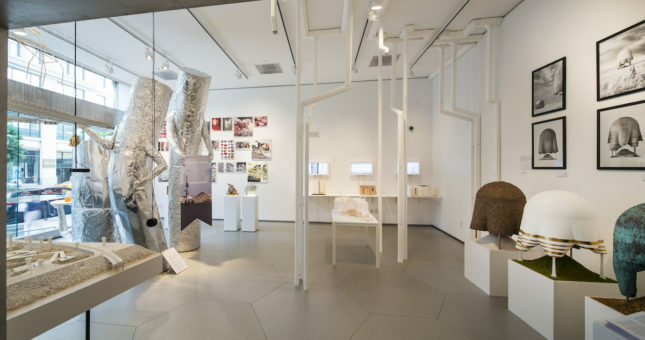 Prompted by the dearth of opportunities for young architects in a city that was coming out of a recession, Sanders and others established the inaugural competition, which had many of the hallmarks of the current one. There was a poster to get the word out, a competition theme around which contestants organized their work, and a jury. The poster the first year was designed by a young Michael Bierut. And the theme was “Dwelling in the Cracks: Responses to the City.” Like all of the competition themes to follow, it was topical, reflecting current concerns and issues confronting architectural practice, this one being the state of the city. In addition to Sanders, who teamed up with Roy Strickland, the winners that year were Dodie Acklie, David Cagle, Steven Forman, Robert Grzywacz, Alexander Gorlin, Ralph Lerner, Michael McDonough, Mark Schimmenti, David Spiker, Donna Robertson, and Holl. Holl and Gorlin went on to have distinguished careers as designers and Robertson and Lerner (now deceased) made their marks in education as deans: The former at the Illinois Institute of Technology, and the latter at Princeton. When Rieselbach took the reins in 1987, five years into the program, she ushered in some changes: She limited past winners from entering the competition again (Denari was one of two people who won it twice), introduced a publication of the winners’ work in 1999, and secured a new venue for the program in 2010. Prior to 2010, the projects were exhibited at the Villard Houses in the Urban Center’s galleries on 30-by-30-inch boards. 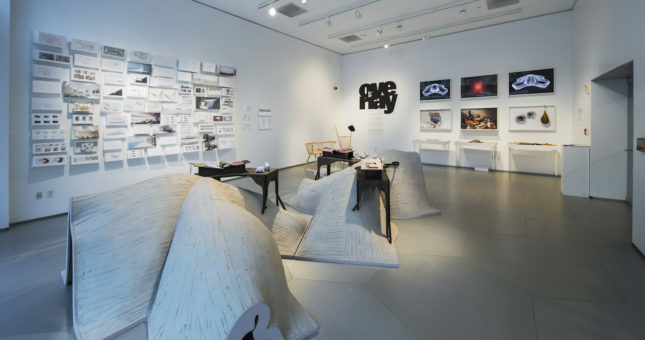 Since 2010, Parsons has hosted the show at the Sheila C. Johnson Design Center. Rieselbach recalled some interesting moments. “2006 was a watershed year where everyone did CNC milling. It was really quite amazing.” In terms of where people are from, “A lot of people teaching at Michigan, a lot of interesting young architects from Canada, and plenty of women,” she continued. Most recently, Rieselbach observed a return of the hand in the work, a hybridization of digital and manual techniques. She went on to say that recent winners like Jenny Sabin (2014), Skylar Tibbits (2013), Sean Lally (2012) and, Michael Loverich (2010), in particular, are doing work that tests the boundaries of architecture. The prize has nurtured many hook ups both personal and professional: Dan and Marie Adams of Landing Studio (2015), Lisa Iwamoto and Craig Scott of Iwamoto Scott (2002), Eric Bunge and Mimi Hoang of nARCHITECTS (2001), Shih-Fu Peng and Roisin Heneghan of Heneghan Peng (1999), David and Paul Lewis (1997) and Marc Tsurumaki (1992) of LTL Architects; Stephen Cassell and Adam Yarinsky, of ARO, (1996); Weisz and Mark Yoes of WXY Studio (1993); and Mónica Ponce de León and Nader Tehrani,(1997), formerly of Office dA. Especially interesting are the three deans of Princeton’s School of Architecture: Ralph Lerner (1981), Stan Allen (1988) and Monica Ponce de Leon (2016). Many of the winners are now dominating the headlines. nARCHITECTS’s Carmel Place, WXYs’ Salt Shed (with Dattner Architects), and City View Garage in the Miami Design District designed by Dominic Leong (2007) of Leong Leong, and Iwamoto Scott (2012) have been in the pages of many national and international publications, including AN. Without a doubt, the League Prize winners are a fascinating group of mavericks most likely to shape architecture’s future.